2. That the Respondent is herebyordered to release the Applicant on bail or charge him before any Court of competent jurisdiction where there is a prima facie case of commission of crime. Recall that you are under constitutional Oath as the Chief LawOfficer of the Federation, to protect and ensure absolute allegiance to the letters and dictates of the Supreme Law of the land. You can only be failing in the performance of this solemn duty, if after receiving this letter, you still allows our Client to spend another night in the dreaded custody of the State Security Services. Only last week, the President, Commander in Chief of the Armed Forces Federal Republic of Nigeria, Alhaji Muhammadu Buhari, granted state pardon to over 500 (Five hundred) prison inmates, detained on various violent offences in Kano Maximum Security Prison. The freed inmates were further treated with cash gifts containing unspecified sums of Money. 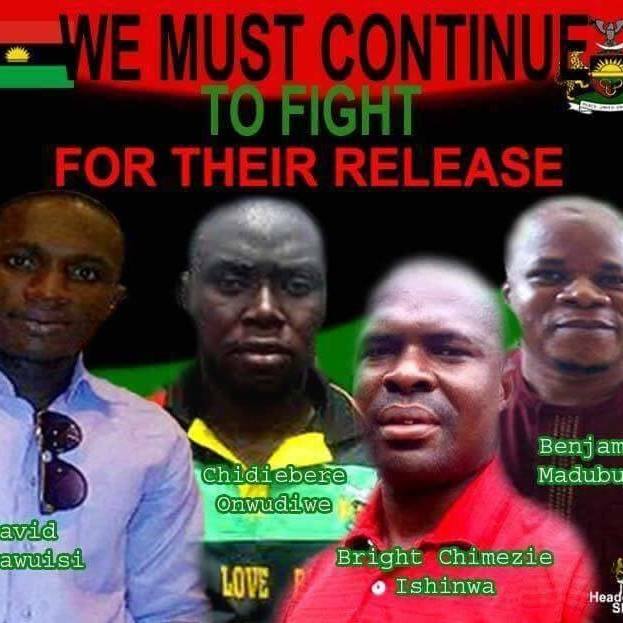 While commending the Commander in Chief for such a patriotic act, we respectfully wish to implore the President to extend the same gestures to hundreds of innocent and defenseless members of the Indigenous People of Biafra (IPOB), largely made up of Youths of Igbo extraction, held across the various prisons in the south East States and Kuje Prison in the Federal Capital Territory,on accounts of phantom charges, frivolous and cooked-up allegations, for merely exercising their constitutional guaranteed Rights to self determination , including our Client who has been held in the custody of the SSS for over 14 months without trial. What is good for the goose is also good for the gander! If the President is a true Nationalist, he should do the needful in this regard, without further prompting.